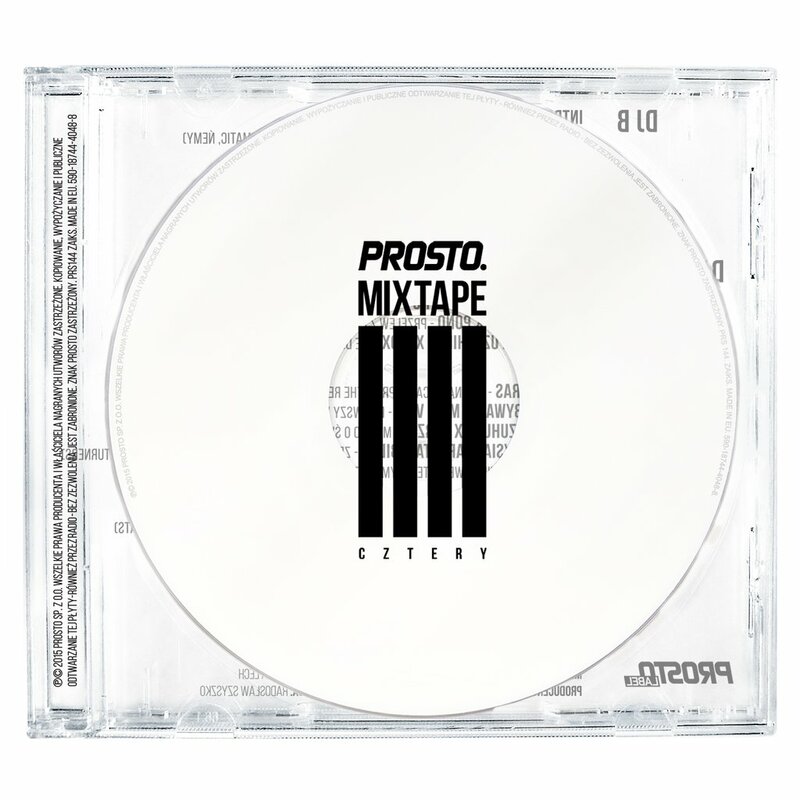 Prosto Mixtape Cztery is a booster dose of the best rap from Prosto. The compilation features almost all Prosto artists, producers and a few but really exceptional guest appearances. All this makes this album more than extraordinary. No warmed-over bangers! Check out this exploding set! The mix tape features mostly new tracks performed by the Prosto artists, with guest appearances which will be revealed gradually. The producers: The Returners, SoDrumatic, Ńemy, Czarny or Małach; plus - Brall Beats (Canada), DJ B, Drumkidz (Germany), En2ak, Manifest, Roca Beats (Netherlands), Sampler Orchestra, Sir Mich, Stona, TMKbeatz, and, last but not least, one of the world top producers: Statik Selekta (USA). On ProstoTV you can listen to a multi-layered posse-cut "Intro: za 15 lat". It's a blend of verses by 15 artists (Juras, Białas, KęKę, Kokot, Parzel, Rufuz, Głowa, Koras, Diox, Żyto, KaeN, Ńemy, 2sty, VNM, HuczuHucz) and beats from 5 producers (Czarny HIFI, Sampler Orchestra, The Returners, SoDrumatic, Ńemy); scratches - DJ B. The album "Prosto Mixtape Cztery" will be released on 27 November.